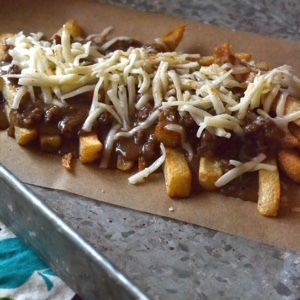 Growing up, we attended a lot of sporting events, and at every sporting event I attended, I always ordered one of three things: a chili cheese dog, chili cheese nachos, or a Frito pie. When my mom needed a quick and easy dinner for us kids, she pulled out a bag of white hot dog buns, threw some Oscar Meyer hot dogs on the grill, and opened up a can of Wolf brand chili. Chili cheese fries and tots were some of my staple drive-thru orders. What do all these memorable foods have in common? A typical chili is made of some type of ground meat (such as beef, venison, or bison), onions, water or broth, chili powder, tomatoes, and sometimes beans. There is definitely a brothy-ness to chili that makes it a perfect pairing with cornbread or crackers to sop up all the juices. But that kind of chili doesn't lend itself too well to being slathered over a batch of fries or a juicy hot dog. There's too much liquid, and any bread or chips or fries underneath the chili gets soggier by the minute. The ingredients of any canned chili, but especially the kind for which Mom whipped out the can opener, are nothing short of gross. I mean, textured soy flour and soy lecithin? Ew. Obviously, it's been a while since I've had a good chili cheese dog. Until I created this recipe. This is a chili sauce you can feel absolutely no guilt about when you ladle it on your French fries — which I hope you fry in tallow and top with raw cheddar! This is a chili sauce you can cover your grass-fed hot dog with. This is a chili sauce that will take you back to the concession stand. Chili sauce — the kind smothering the nachos and Frito pies at concession stands across the country — is the perfect consistency. It's neither too thick and saucy nor too thin and broth-y; it's just right. Rinse pinto beans, then add to a bowl and cover with water and 2 tablespoons apple cider vinegar. Cover and soak 24 hours. Drain the soaking water, rinse the beans again, and add them to a crock pot. Cover with water and season with 1 tablespoon chili powder, 1 tablespoon salt, and 1 teaspoon pepper. Cook on low 8 to 10 hours. Using a ladle, transfer cooked beans to a blender. You need about 1/2 cup of bean liquid in the blender, and the rest should be drained beans. 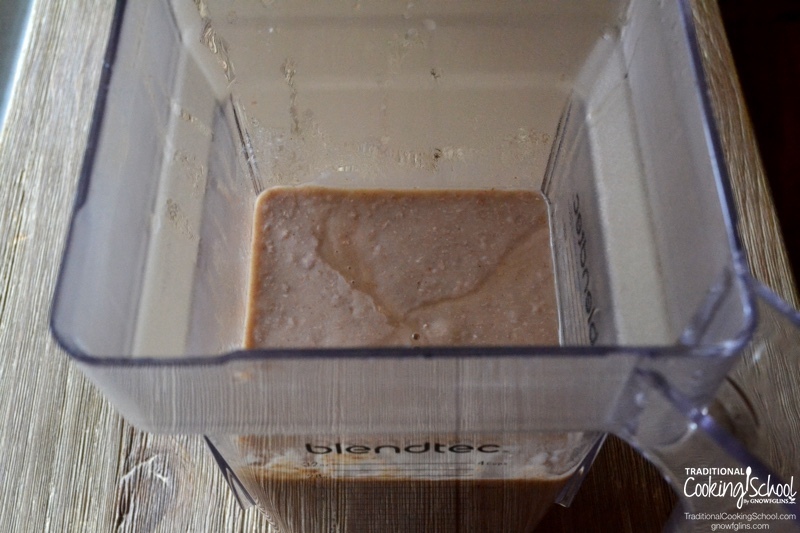 Blend on medium speed until pureed, like refried beans. You need three cups cooked and pureed beans. The remaining cooked beans can be pureed and frozen, or left whole to freeze or use in other dishes. Brown ground meat with diced onions in a stock pot or Dutch oven. Add broth, crushed garlic, 3 cups pureed beans, and all seasonings to the pot. Simmer for 20 to 30 minutes, stirring occasionally to make sure the beans don't stick. In a small bowl, mix together tapioca or arrowroot powder with 1/2 cup of water. Slowly pour into the chili, stirring as you pour. 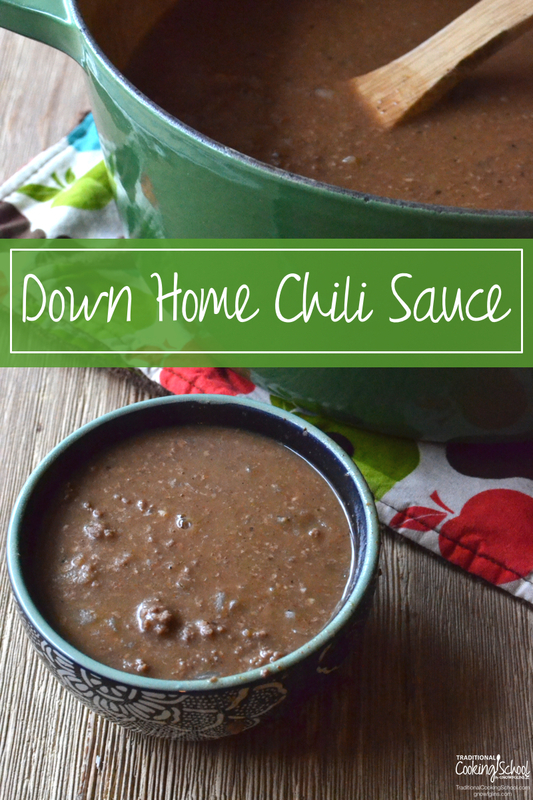 The chili will go from soupy and watery to thick and creamy. If, after a few minutes it does not get thick, mix together an additional tablespoon of starch with 3 more tablespoons of water and add that into the chili sauce. You should be fine without having to add more thickener, though. Taste and adjust seasonings if needed, then serve. Chili Cheese Dog: Use a sprouted or sourdough bun and a grass-fed hot dog, such as Applegate. Generously ladle on the chili sauce, and top with raw cheddar and lacto-fermented sauerkraut, ketchup, and/or mustard. Chili Cheese Nachos: Top Wardee's homemade tortilla chips (or non-gmo blue corn chips for gluten-free) with chili sauce. Sprinkle on raw cheddar generously. Stick it under the broiler until the cheese bubbles, then garnish with fresh or pickled jalapenos. YUM! 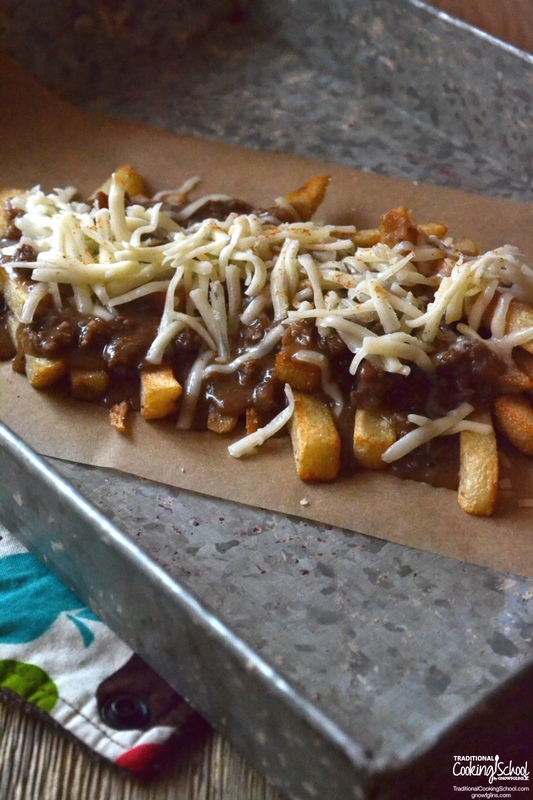 Chili Cheese Fries: Cut potatoes (or parsnips!) into French fry shape or use a spiralizer. Deep-fry in tallow until crisp, then drain on a paper towel and season to taste. Spoon on chili sauce and finish off with grated cheese. I like mustard on my chili cheese fries as well. Or feel free to eat this as regular ol' chili — with a side of cornbread. No matter how you fix it, I'm pretty sure you won't be disappointed. Has it been a while since you've had chili sauce? Do you miss chili sauce? What are your favorite ways to use chili sauce? This post featured in 92 Nourishing Grill & Barbecue Dishes, Drinks, & Desserts. I found some organic Frito corn chips at Trader Joe’s. They taste really yummy too!